A basic one-story home with three rooms can be built for only $4,000. Three-dimensional printing has changed the way we make everything from dental appliances to jet engines, and soon it could be used to make low-cost houses for some of the world’s 150 million homeless people. At least that’s the vision of the San Francisco-based nonprofit New Story, which has partnered with the construction company ICON, of Austin, Texas, to build 100 single-family houses in El Salvador next year. The partners selected El Salvador because New Story has already built homes there. If the initiative succeeds, New Story thinks 3D printing could be used in other countries — and perhaps to build habitats on other worlds. And they’re not the first: other companies have also floated the idea of 3D printing the first moon colony. With conventional building techniques, erecting a simple home can take months and cost tens of thousands of dollars. 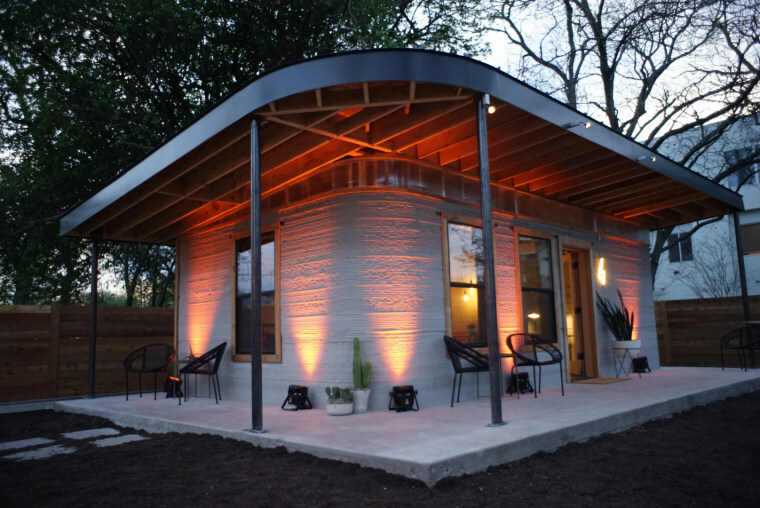 But New Story co-founder Matthew Marshall told NBC News MACH in an email that with help from a giant 3D printer called “The Vulcan,” a basic three-room, one-story concrete home can be built in a single day — and for a cost of only $4,000. The printer applies concrete layer by layer until the walls are up, and then windows and the roof are added via conventional construction methods. Built out of lightweight aluminum, it includes a backup generator. The technology sounds nifty, but could 3D printing really be part of a solution to the homelessness problem?